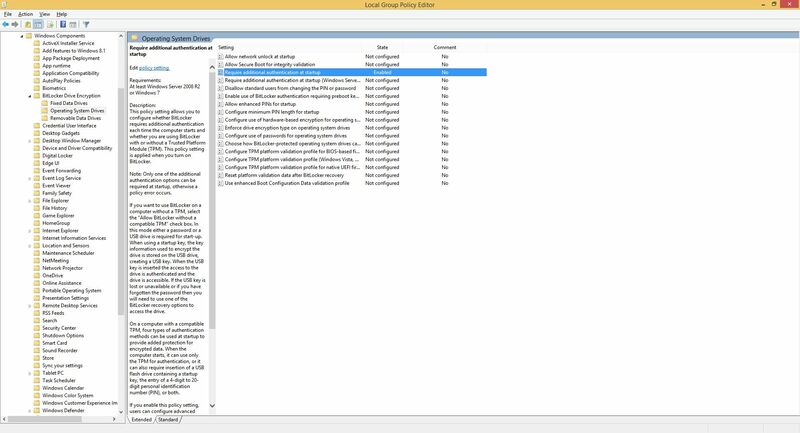 “Nay!” they say; “It's not possible!” they say; “You can't lock a drive with BitLocker without a TPM device!” they say… “Bah!” I say, what a load of “#$%*&! That said (pun intended) do read on and find out a simple way to encrypt that which matters most and get away with it without the use of “training wheels”. 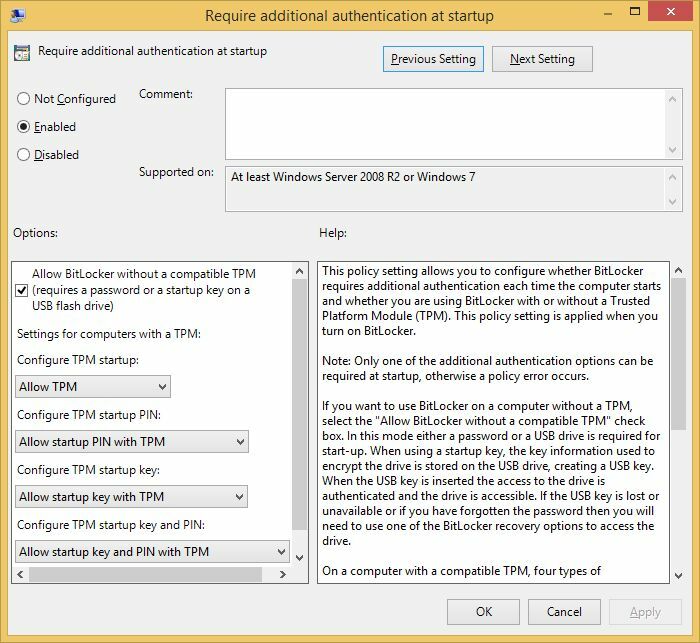 Enable the policy: “Require additional authentication at startup” and be sure that the “Allow BitLocker without a compatible TPM” option check box is ticked.